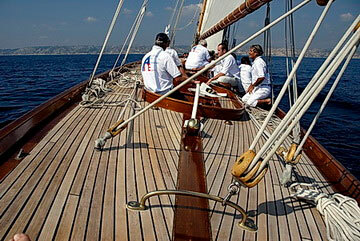 NAN is based in Cannes and we organize day charters with a lunch on Lerins Islands. 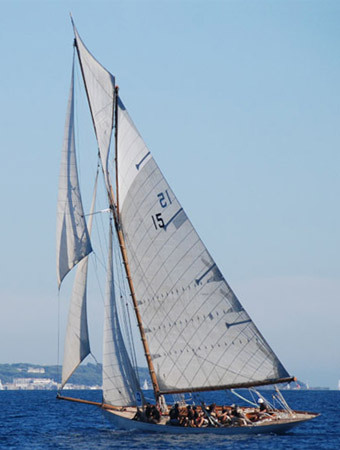 Limited at 15 guests sailing this classic yacht can also welcome on board 40 guests alongside the quay. NAN is also available for MIPIM, MIPCOM… Congresses and the Cannes Film Festival. Click on the link below to see the video (TF1 - Voiles de Saint-Tropez 2009).